When you experience the need for legal advice, everything can seem overwhelming and complicated –at Criscuoli & Gavan, LLC. that feeling is understood. With more than twenty years serving the legal needs of people in Sussex County and the surrounding counties I am part of your community and understand the stress and anxiety that is associated with legal issues and dealing with lawyers. You will be part of a small and attentive team when you use our services. I have long tried to answer the call to serve. I enlisted in the U.S. Navy in my teens after a few years service, I earned the opportunity to attend Villanova University on an N.R.O.T.C. scholarship. After earning my degree in Business Administration I was commissioned an Ensign in the Navy. I served on a surface combat ship in the Atlantic Ocean until my separation. 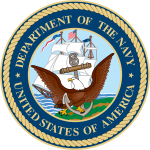 Upon leaving Naval service I attended law school graduating with honors. After a year clerking in the Superior Court in Hudson County I moved to Sussex County in private practice and have been here ever since. While living and raising a family here I continued to serve in various volunteer positions in youth sports, charitable organizations, business development activities and higher education. I also have volunteered my time to serve on District X Ethics Committee as well as the District Fee Arbitration Committee. I look forward to helping you with your legal needs. I have been private practice, having my office located in Sparta, New Jersey for the last 20 years. I have 35+ years experience, specializing in real estate matters, new construction real estate closings, personal injury cases and Last Wills and Testaments, new business and commercial transactions. My staff and I enjoy a great working relationship with realtors and work closely with clients guiding them through the Contract review, attorney review process, and any home inspection report issues that may arise, mortgage and title closings. I reside in Sparta, with my wife Diane, where we have raised our two (2) sons, Michael 25, and Christopher, 19. I am a member of the UNICO Organization, Lakeland Bank Advisory Board, Pass it Along Executive Board and , Karen Ann Quinlan Hospice Ethics Committee. I grew up in Parsippany, New Jersey and graduated from Seton Hall University with a B.A. in English Literature in 1973. 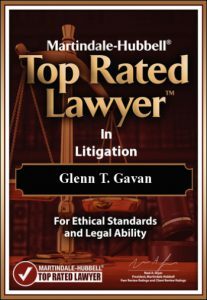 I attended the University of Dayton, School of Law and graduated with my Juris Doctorate in 1978. I was admitted to the Bar of the State of New Jersey and the Federal District Court for the District of New Jersey in December 1978. We have experienced people working day in and day out on helping people deal with their legal needs with a friendly and personal approach to ease the stress and anxiety associated with legal matters.